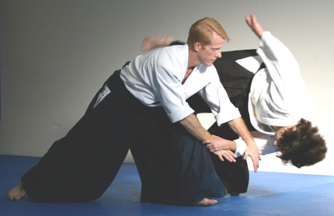 Steve began his study of Aikido with Kanai Shihan at New England Aikikai in 1994. In 1998-99, he studied with Juba Nour Shihan at Aikido of Manhattan. 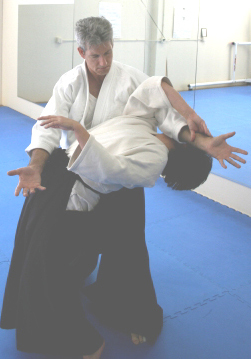 In 1999, he began studying with Chiba Shihan, Chief Instructor at San Diego Aikikai. He also studied with Murashige Shihan, Assistant Chief Instructor at San Diego Aikikai. 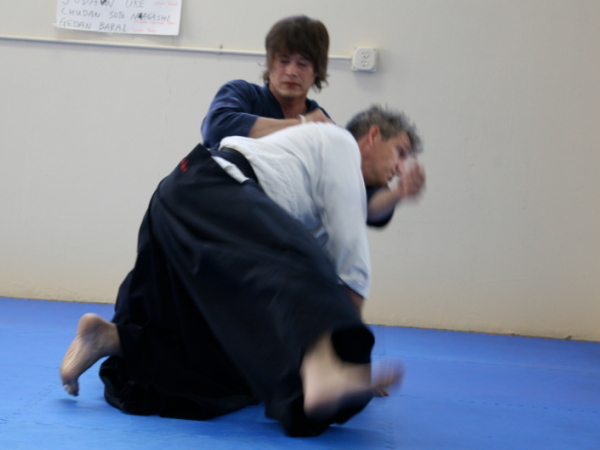 Steve has also studied Shindo Muso Ryu Jojutsu since 1992 and currently holds the rank of 4th dan. Andy practiced for 12 years under the guidance of Pablo Vázquez Shihan, beginning in 1988 at the West Los Angeles Aikido Instutute. From 2000 to 2007 Andy practiced at Newport Beach Aikikai. Then from 2008-2009, he studied with Jack Arnold Shihan at Aikido Daiwa in Burbank. Aikido is a most perfectly balanced martial art, designed to keep you on your feet and not grappling on the ground, vulnerable to a second attacker. It is a very powerful yet soft martial art where children and girls have a distinct advantage in size. I will show you how to relax and keep your cool thru any harrowing situation.